[3 mins. 7 secs.] Among the guests on this DOC NYC Edition of Filmwax Radio is senior programmer Basil Tsiokos. Basil is instrumental in the success of this year's festival and on hand to discuss various films that are still screening in the remaining few days. [14 mins. 45 secs.] 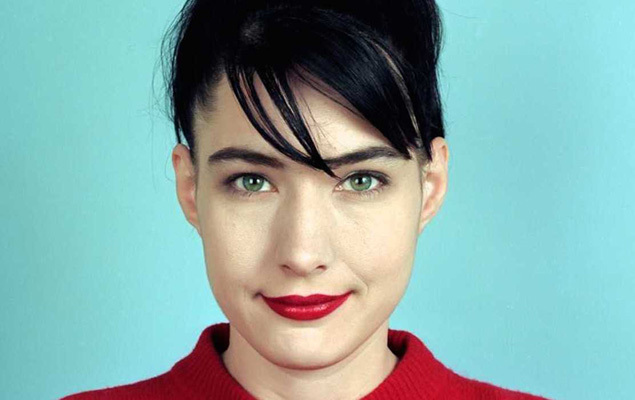 Kathleen Hanna, former lead singer and songwriter of such seminal bands as Bikini Kill and Le Tigre, is the next guest. Kathleen also happens to be the subject of a new documentary called "The Punk Singer", directed by Sini Anderson. The film had its New York premiere at DOC NYC and will be enjoying a theatrical run at the Nitehawk Cinema> in Williamsburg, Brooklyn. Kathleen will be there participating in a number of Q&A's. [34 mins. 20 secs.] Last up is the filmmaker Laura Checkoway who has made a memorable portrait of a documentary called "Lucky". The film follows the young Bronx woman, Lucky Torres, heavily tattooed and pierced, she struggles to figure out how to escape the shelters and joblessness that prevents her from creating the steady environment she needs to live with her two kids. Perhaps the most striking thing here is the bond formed between filmmaker and subject.